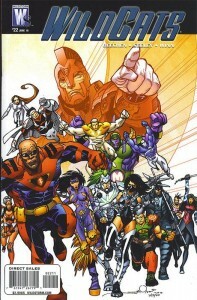 Just as The Authority took time to catch their breath in the recent issue #21, the Wildcats have done the same here. Adam Beechen and Tim Seeley have wisely taken this format of starting with a 3-issue arc, and taking a “breather-issue” here before we begin the new 3-part story next month. It is obvious they are laying out a lot of information here but just because we don’t have any huge battles in this issue, there is no shortage of great moments here. If you thought Seeley had pulled all the stops on filling pages full of characters, think again. 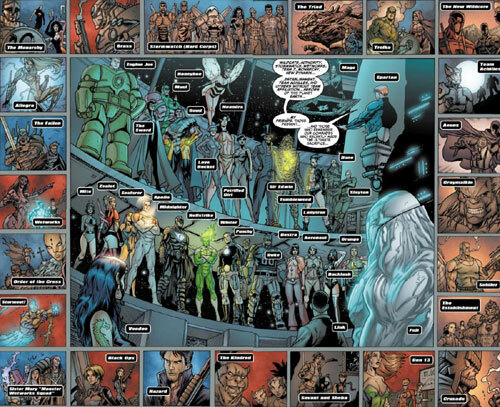 Seeley gives us a double-paged spread that shows all the remaining heroes that are accounted for on Wildstorm’s Earth. It is great to see several characters (and teams) in the shot that haven’t been seen in years. George Lucas calls this the “explanation scene”. He is referring to the scene in his movie Raiders of the Lost Ark where Indiana Jones is at the college explaining the Ark of the Covenant to his colleagues. That is essentially what we have here as everything is being laid out for the heroes. There is a concerted effort to organize everyone and actually try to help the Earth. Now as you can imagine, not everyone agrees with how this should be done. This is where Beechen’s storytelling shines because he’s setting up so many clues for future issues. There are several characters that are obviously set up for conflict later while some are asked to step up where once they would’ve stayed in the background. With all the assignments and splits going on, you could almost follow each of the stories in their own books. So, it’ll be interesting to see how Beechen balances all these stories as we go along. Beechen and Seeley have created another great jumping on point with this issue. It is such a good idea to do this because it gives people who passed over the last arc a chance to pick it up here if they’re curious now that the creative team has completed an arc. It’s also noteworthy that the final page of this issue was an incredible shot that is full of symbolism that I think fans will appreciate. 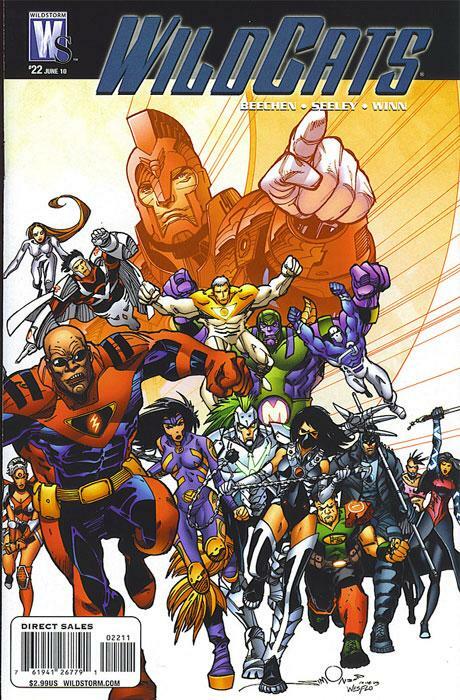 This entry was posted in Reviews, Wildcats, WSU and tagged Adam Beechen, Ben Abernathy, Carlos Badilla, kristy quinn, review, Ryan Winn, Tim Seeley, Walt Simonson, wes abbott, wildcats, wildstorm universe. Bookmark the permalink.